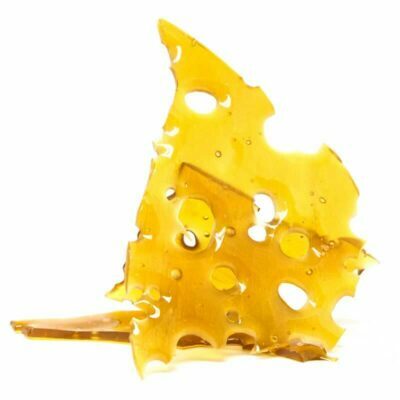 If you’re looking for a more potent, concentrate form of cannabis, you can now buy shatter online. Canada residents that shop on Buy My Weed Online have the option of ordering this specific form of marijuana. We extract cannabinoids including CBD and THC to produce this potent weed concentrate. For those who are new to this type of weed, we’ve provided a quick and easy-to-digest overview of the cannabis-related product. Read on for more information and as you shop, feel free to click through to each product’s specific page to get details on its particular effects. 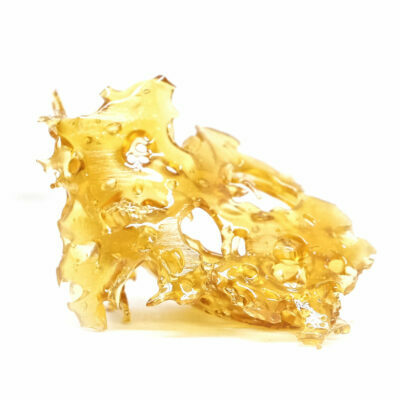 Shatter is a cannabis concentrate, also known as a form of “dab,” that is made with Cannabidiol and Tetrahydrocannabinol cannabinoids that have been extracted from marijuana plants. This is done through the process of heating a mixture of solvent (usually Butane) and cannabis plant, which is done to extract an oil (Butane Hash Oil) that’s then used to form a smooth, glass substance. The shatter form of cannabis is typically one of the most potent types of Butane Hash Oils and can contain up to 90% cannabinoid content. Some shatters may only contain CBD or THC. Shatters with higher levels of THC are more ideal for those who are seeking a more intense high effect in their marijuana product. Because of its concentrated, more potent form, Shatter is often looked at as more effective in its ability to reduce pain and treat medical conditions when compared to the traditional, bud form of marijuana. What Does Shatter Look Like? When you buy shatter online from a Canadian dispensary like Buy My Weed, you will notice specific features. 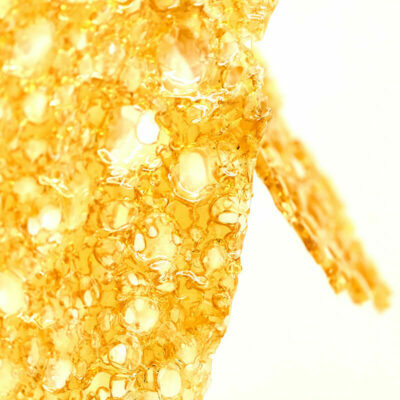 This particular concentrate is one of the purest forms of cannabis extracts and will typically have an amber hue to it. Shatter holds a toffee-like hardness and is usually delivered in the form of a translucent sheet with a glassy transparency. How Do You Use Shatter? There are many different ways to use shatter. For those that are new to this type of concentrate, try crumbling it up on top of weed and smoking it on a pipe bowl or in a joint. Starting out with this method can help you get a feel for how much shatter works for your individual needs. More experienced cannabis users often use an oil rig or vaporizer to consume shatter. With an oil rig, you can heat the shatter and then dab the amount you’d like to smoke. Shatter vape pens are designed specifically for oil or wax concentrates and allow users to experience a fuller flavor without combustion of the material. It’s looked at as an ideal way to inhale the concentrate. If you’re buying shatter online in Canada, Buy My Weed has a solid selection of accessories that will help you consume the concentrate. When you buy shatter online in Canada, it’s important to be informed of the product and its differences with other concentrates. 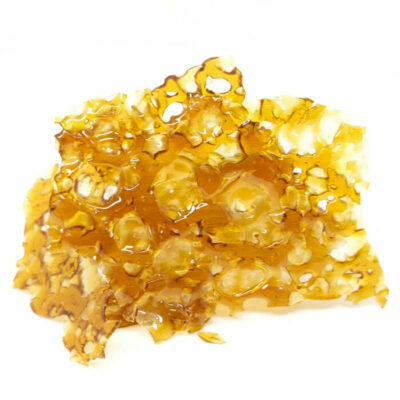 The way shatter is produced requires additional filtration to remove waxes and fats. This makes it one of the purest forms of cannabis extracts that offers the highest potency. If you’re used to consuming marijuana in its traditional form, know that shatter will likely have a quicker and more intense effect. 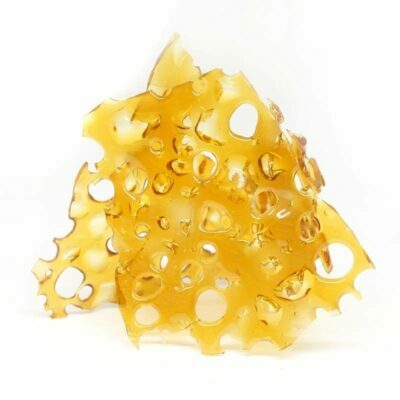 When buying shatter online, you will likely come across wax concentrates as well. 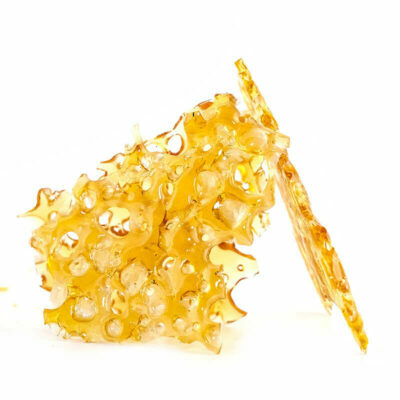 The major difference between shatter and wax lies within its physical form. While wax is generally easier to handle, shatter tends to last longer. Buy My Weed offers the best quality shatter on the market. We guarantee that your cannabis concentrates and products will be shipped to your door discreetly and in the most efficient manner. 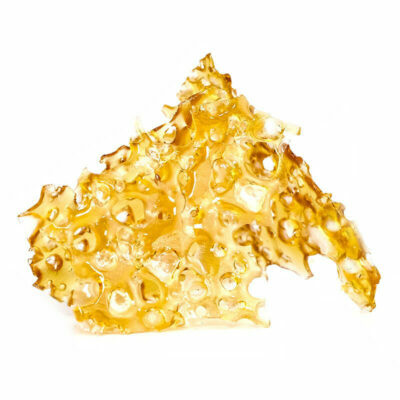 Shop our shatter concentrate varieties and receive free shipping for any orders over $99.